British fruit and vegetable farmers will be able to recruit non-European Union migrants on temporary visas after Brexit to help ease labour shortages during busy periods, the British government said on Thursday. Agriculture relies on EU workers and farmers have warned that a shortage of labour since Britain's 2016 vote to quit the bloc will worsen when freedom of movement rules end, leaving fruit rotting in the fields. The pilot scheme will run from spring 2019 until the end of December 2020, during the planned transition period following Britain's March 2019 EU exit. It will allow 2,500 workers from outside the EU to come to Britain for up to six months. 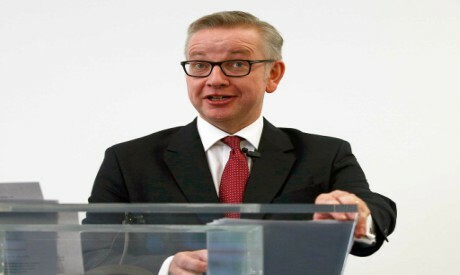 "We have listened to the powerful arguments from farmers about the need for seasonal labour to keep the horticulture industry productive and profitable," Environment Secretary Michael Gove said in a statement. "This two-year pilot will ease the workforce pressures faced by farmers during busy times of the year. We will review the pilot's results as we look at how best to support the longer-term needs of industry outside the EU." Food production is Britain's largest manufacturing sector, with sales of 70 billion pounds ($90.52 billion) in 2017, according to the Office for National Statistics. The National Farmers' Union said the announcement was a "major victory". "Farmers and growers have seen worker availability tighten significantly in recent years ... Growers will take great confidence in knowing that the government is listening during what have been extremely testing and uncertain times for the sector," NFU President Minette Batters said in a statement. NFU Scotland, a separate organisation, said it was a step in the right direction but 2,500 visas UK-wide was "significantly short of what is likely to be needed to make a difference to the labour needs of the sector". "I am committed to having an immigration system that reduces migration to sustainable levels, supports all industry and ensures we welcome those who benefit Britain," interior minister Sajid Javid said.